Journalist Peter Potterfield writes about wilderness and adventure for newspapers, magazines, books, and on-line publishing. He is currently editor of GreatOutdoors.com. Potterfield is the author of a dozen books, including the critically acclaimed In the Zone (The Mountaineers Books, 1996), and the Banff Book Festival Award winner, High Himalaya (The Mountaineers Books, 2001). His most recent books are Classic Hikes of the World (WW Norton & Co., 2005), Himalayan Quest (National Geographic Books, 2003) and Everest, the Anthology, a collection of first-hand narratives from the world's highest peak (The Mountaineers Books, 2003). He is the author of the best-selling climbing guide to the Cascade Range, Selected Climbs in the Cascades, in two volumes (The Mountaineers Books, 1994, 2000, 2002). He edited the first collection of funny climbing narratives for his anthology, Over the Top, Humorous Mountaineering Tales (The Mountaineers Books, 2002). Potterfield has made a specialty of covering mountaineering and backcountry adventure for the popular press, and he has written on these subjects for National Geographic Adventure, Conde Nast Traveler, Outside, Reader's Digest, Backpacker, Modern Maturity, Summit, Smithsonian Air & Space, and other publications. He was named a finalist for the National Magazine Award for General Excellence during his twelve-year tenure as editor of Pacific Northwest Magazine. 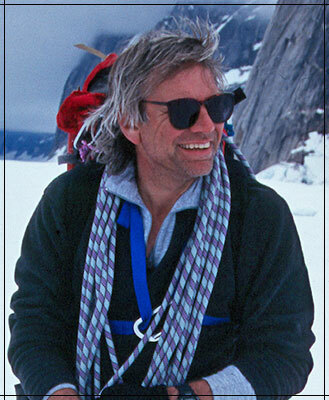 As editor of MountainZone.com from 1996 to 2003, he developed electronic adventure journalism by pioneering live reporting of Mount Everest expeditions and other real-time adventure stories from remote locations. A highlight was the discovery by a 1999 MountainZone.com-sponsored expedition of the long-lost climber, George Mallory. His work at MountainZone.com, according to The New York Times, "made a spectator sport out of Himalayan climbing." A veteran of expeditions to the far corners of the world, Potterfield has roamed the Himalaya, explored the mountains of Canada's Coast Range, crossed the Swedish Arctic solo, traveled on foot through the wild southern reaches of New Zealand, and retraced Sir Ernest Shackleton's route to salvation on South Georgia Island. Potterfield is currently the editor of GreatOutdoors.com, one of the most frequently visited online adventure magazines, where he writes his monthly column, Wilderness Notes.